An organization, such as youth groups, neighborhood associations, church groups, service groups, or families may apply to "adopt" a section of roadway! Through the adoption, the group will have the responsibility of removing litter within their designated roadway a minimum of two times per year for two years. 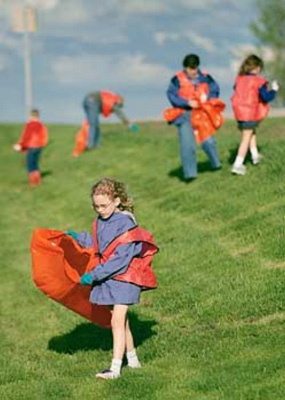 ACHD will provide you with safety vests, trash bags and temporary warning signs. We will also pick up the bags of collected trash and properly dispose of them. For an organization or family to “adopt” a section of roadway, an application and agreement must be completed and returned to the ACHD. Return the completed packet to the Ada County Highway District. Select a section of roadway. ACHD will let you know what roads are available.